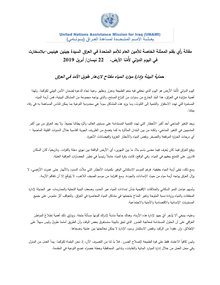 The Iraqi Red Crescent Society (IRCS) has announced the increase in the numbers of the affected families due to the torrents that swept a number of south and middle governorates. 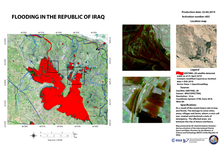 The IRCS has reported in a statement that the recent floods that hit many areas and villages of (Salahuddin, Diyala, Wasit, Maysan, Theqar and Basrah governorates have created a critical humanitarian situation and the collapse of tens of houses and more than 4713 families have been damaged, also a vast spaces of agriculture lands have been sunk. 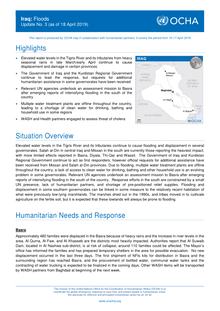 Recent flooding along the Tigris River and its effluent overflow have caused displacement of people and damage across several areas of Iraq. 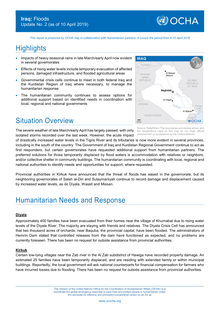 As of 11 April at 8.00, UN OCHA reports that 950 families (400 in Diyala, and 550 Salah ad Din) have been evacuated, while 596 families have been displaced (25 in Kirkuk, 545 in Maysan and 26 in Wasit). 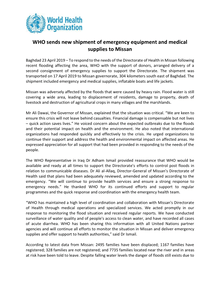 In Maysan Governorate, the World health Organisation (WHO) is monitoring cases of acute diarrhea and supporting with Interagency Emergency Health Kits. 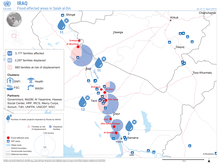 Throughout the Middle East region last week, there was a drop in battles, explosions/remote violence, and demonstration events. 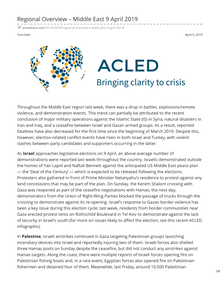 This trend can partially be attributed to the recent conclusion of major military operations against the Islamic State (IS) in Syria, natural disasters in Iran and Iraq, and a ceasefire between Israel and Gazan armed groups. 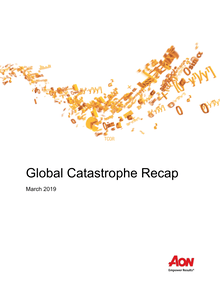 As a result, reported fatalities have also decreased for the first time since the beginning of March 2019. 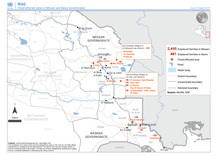 Recent flooding along the Tigris River has resulted in the displacement of 545 families in Maysan Governorate, with a further 2 000 families at risk following reported damage to a small number of IDP camps. 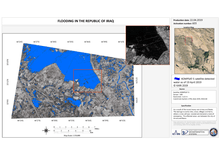 The Iraqi Red Crescent Society (IRCS) reports that heavy rain caused damage to more than 60 families after the villages of Huweder, Dawai, and Shafta (Diyala Governorate) were flooded. 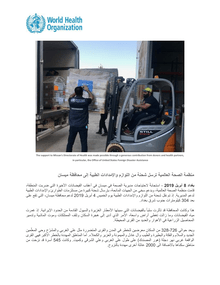 Food parcels have been distributed to at least 270 families affected in Salah al-Din Governorate. 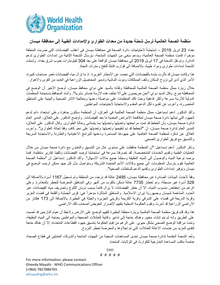 The teams of the Iraqi Red Crescent Society (IRCS) have distributed more than 270 food parcels to families affected by the rain torrents in Salah al-Din governorate, where the distribution was carried out after conducting a field survey in various areas of the governorate to identify the numbers of the affected families and their necessary needs. 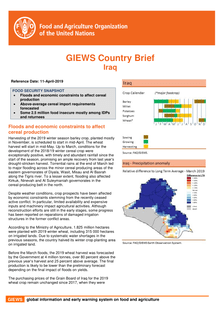 The recent floods along the Tigris River and its effluent overflow have caused displacement of people and damage across several areas of Iraq, with Salah governorate being the worst hit. 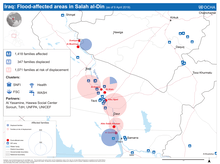 As of 8 April, according to Iraqi Red Crescent, at least 270 families have been displaced in Salah, while 60 houses have been flooded. 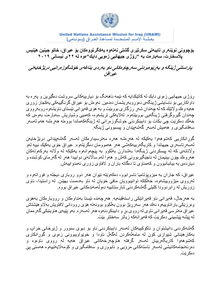 For the next 24 hours, moderate rainfall is forecast over central-western regions of the country.